Music has always been appreciated by user across the world. It is always refreshing as well as healing to listen to new music. These days there are plenty of medium through which user can listen to the music. One can listen through various medium whether radio, audio deck and mini pads. But these days after the introduction of Smartphone, people prefers it the most as it is quite friendly especially after the launched of IPhone everything has changed drastically. Iphone has brought major transformation in the music industry. That’s happen due to the iTunes. ITunes is one of the important application of the IPhone. It has a big role in transforming the music industry. The main reason behind it is because of the sheer quality of music audio it provides to the user with utmost clarity as well as proper base. It is the most download application on the IPhone store. But sometimes user do face problem while working on it. One Of the common issue user face is how to sync an IPod with Itunes. One can take the help of technical support or follow this simple procedure to fix the problem. · Go to the ITunes on your IPod. · Then one need to connect one device to your computer using the included USB cable. · As one’s your device get connected then one can see an icon at the upper left corner of ITunes. · Now one can click on the device icon. 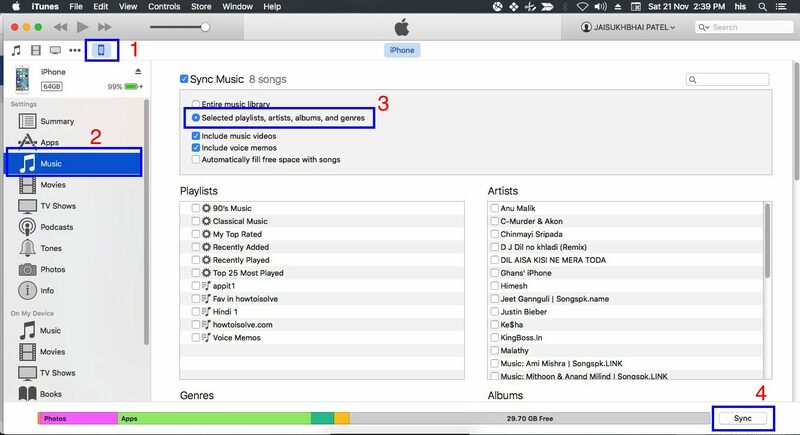 Then one must look at the Settings on the left side of the iTunes window for a list the content types that you can sync from your iTunes library to your device. · One need to choose the content one want to sync. · Then after the the box next to Sync to turn on syncing for that content type. · Now one need to check in the box, syncing for that content type is already on. · Again after synchronization one will see a message to your Ios device is synchronized with iTunes. · One need to click on the save setting in order to save your sync settings. · After one turn on synchronizing, your content syncs each time that you connect your IOS device to your computer and have iTunes open. how do i get all my apple devices to sync?